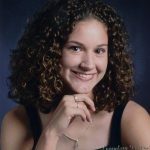 Anna Austin, 36, passed away on Saturday, November 24, 2018. Celebration of Life: 12:30 PM, Saturday, December 1, 2018, Granbury Church of Christ, reception to follow service in the Reception Hall. Memorials may be made in Anna’s honor to the Granbury Church of Christ Christian Service Center. Anna was born on April 20, 1982 in Irving, Texas to Stanley and Margaret McBroom. She graduated from Granbury High School and was a member of Granbury Church of Christ. Anna was also a member of Alpha Phi Sorority at Midwestern State University. Anna was a loving wife, daughter, granddaughter, sister and aunt. She was a good friend and if you knew her you loved her. She always thought of others, which was exemplified by her being an organ donor. Anna is survived by her husband: Jason Austin, parents: Stan and Margaret McBroom, father-in-law and mother-in-law: Kenny and Alma Austin, sisters: Sara Blevins and husband Eric of Granbury, and Gayla Castle and husband Josh of Crowley, grandmother: Fay McBroom of Keller, and numerous, aunts, uncles, nieces, nephews, and cousins. Jason, we are so very sorry about the loss of your beautiful wife.My g-d help you in these days to come. Our deepest heart felt sympathy and prayers for peace and comfort at this difficult time. God hold you all close and long. You were the tall girl with crazy curly hair. We had so many classes together from Acton Elementary through high school. The first year book I looked in last night our pictures were next to each other on the class page. Stan and Margaret, I am so sorry for your loss. I didn't know Anna but I know your love for your children was always evident in everything you said or did. My heart breaks for your family. I have asked God to please be with you all during this time of grief. May he wrap his arms around you and help ease your pain. I am so sorry for this loss. Margaret and Stan have always been such good parents and loved their girls so very much. No parent should ever have to grieve a childs death at any age. Anna was a sweet person from way back in the day when my girls played together with her and Sarah daily. There are truly no words that I or anyone else can say to take this pain away. Please know that you are all in my prayers and I love you.